Leadership Skill is necessary if you must fulfill your potentials as a leader. Leaders are effective because of who they are on the inside, the quality that makes them up as a person. For you to become a leader you must develop this Skill from the inside out. As you go through the review the Leadership skill, study it methodologically and strategically to get the best out of it. Everything rises and falls on leadership. If you can become the leader on the inside, you can become the leader on the outside. Every true leader must have a sense of meaning and purpose of their organization, business and personal life, what you do and why you do what you do. This awareness produces a sense of identity, value and worth to you and your organization. Everyone came into this world with a gift or passion to deliver to humanity. What are does problems around you that get's your attention. The foundation of every Leadership Skill begins with a discovery of your purpose or assignment. The future belongs to does that see possibility before they become obvious. Vision is everything for a leader, vision leads the leader, it paints the target, and it sparks the fire within. Show me a leader without a vision and you will find someone moving in circles. Vision starts within. If you lack vision look within, start from your passions and gifts, look to you calling if you have one. If you don’t have one then search for a leader whose vision resonate with you, become his partner. Vision comes from your history or people around you. Vision meets other peoples need. Vision serves others and adds value to others. Leadership is the capacity to rally men and women to a common purpose and the character which inspires confidence. How a leader deals with circumstances reveals his character. Adversity is a cross road that makes a person chose one of two paths, character or compromise. Every time he chooses character he becomes stronger. Action is the real indicator of character. Your character determines who you are, who you are determines what you see, what you see determines what you do. That’s why you can't separate the actions from his character. Followers will not follow leaders they don't trust. Be more concerned about making others feel good about themselves, than you are making them feel good about you. If you appreciate others, encourage them and help them reach there potentials, they will love you for that. Leaders are dealers in hope. Hope is the greatest of all possessions, if you can be the person who bestows that gift on others; they will be attracted to you and they will forever grateful. People love leaders who share themselves and their life's journeys. As you lead people, give them yourself. Share wisdom, resources etc. nobody wants to follow anyone that thinks his better than anyone else. Commitment separates the doers from the dreamers. People do not follow uncommitted leaders. A committed leader never turns his eyes from the goal. True commitment inspires and attracts people. It shows them that you have conviction. Without communication you travel alone. Developing good communication skills is essential for a leader to have an effective leadership skill. A leader must be able to share knowledge and ideas to transmit a sense of urgency and enthusiasm to others. If a leader can't get a message across clearly and motivate others to act on it, then having the message doesn't matter. For you to be effective in communication, simplify your message and know your audience. Competent people show up when they are expected, regardless of their feelings, the circumstances they face, how difficult they expect the game to be. Competent people find ways to keep growing, learning and improving. 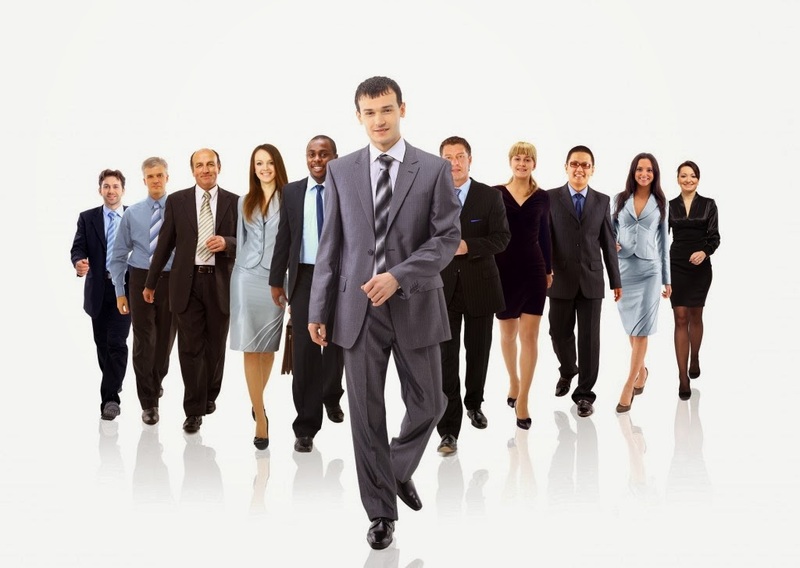 Competent people follow through with excellent. Quality is never an accident; it’s always the result of high intentions, sincere efforts, intelligent direction and skillful execution. One person with courage is a majority. Courage is the quality that guarantees all others. Courage is fear that has said its prayers. Courage is doing what you’re afraid to do. Every test you face as a leader begins within you. The ultimate measure of a man is not where he stands in moments of comfort and convenience but where he stands in times of challenge and controversies. Courage deals with principle not perception. If you don't have the ability to stand up and the conviction to do something, you will never be an effective leader. Leadership is the expression of courage that causes people to do the right thing. Discernment can be described as the ability to find the root of a matter. This relies on intuition and rational thoughts. Effective leaders need discernment because they will always encounter situations where they have to make discussions from two choices. Discernment is a skill a leader requires to maximize effectiveness. Discernment enables a leader to see partial pictures, fill in the missing pictures intuitively and find the real heart of the matter. If you want to maximize potential, work from your area of gifting. Leaders that are effective and good at what they know, have a highly focused mind. For a leader to develop focus, he needs to have priorities and concentration. A leader, who knows his priorities but lacks concentration, knows what to do but never gets it done. If he has concentration but no priorities he has excellence without progress. But when he harnesses both he has the potential to achieve great things. Focus on strength rather than weakness. No person has been honored for what he received, but for what he gave. Giving is the highest level of living and its starts with the heart. Nothing speaks to others more loudly or serve's them better than generosity of a leader. Effective leaders gather things for themselves to give to others. A leader must put people first; the measure of a leader is not the number of people who serve you, but the number of people you serve. Generosity becomes easier. All that is not giving is lost. Success is linked with action. Successful people keep moving, they make mistakes but they don't quit. Leaders must always look for opportunities and be ready to take action. For a leader to make positive initiative he must know what he wants, you must push yourself to act, take more risk and make more mistakes. Those that are ready to achieve greatly must be ready to fail greatly. For leaders to connect with the heart of his followers, you must use your ears. The ear of the leader must ring to the voice of the people. A good leader encourages others tell him what he needs to know not what he wants to hear. Leaders torch a heart first before they ask for help. Before a leader can touch a heart he has to know what’s in it and he learns that by listening. When you listen, keep in mind you have two purposes for listening, to connect with people and to learn. For that reason you should keep your ear open to this people. Your desire determines your destiny, and anyone who lived beyond an ordinary life has great desire. Weak desire brings weak result, just as a small fire creates little heat. The stronger the fire, the stronger the heat and the greater the potential. If you believe you can, you can. The average person waits to be motivated; he feels his circumstances are responsible for the way he thinks. No matter what happens to you today, your attitude is your choice today. Your attitude determines your actions. A good attitude is a Leadership Skill that keeps you and your followers going in the mist of crisis. Start feeding yourself on positive information. When you keep a positive attitude, it puts you in a position to solve any problem. You can measure a leader by the problem he tackles, he always look for problems of his own size. Effective leaders always rise to a challenge; this is what separates the winners. A leader solves problems with creativity and tenacity. For a leader to effectively solve problems, he has to anticipate problems, leaders accept the truth and try to make things better, and leaders see the big pictures. Every problem introduces you to yourself; it shows you how you think and what you’re made of. If you get along, they will go along. The ingredient for successful leadership knows how to get along with people. People don’t care about how much you know, until they know how much you care. The ability to work with people and develop relationship determines an effective leadership. People truly want to go with people they get along with. 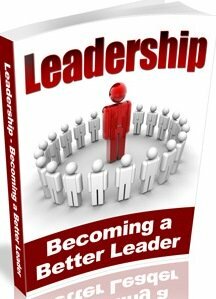 For you to develop a good relationship you must have a leaders head, i.e. understand people, how they feel and think. You have to be able adapt your leadership style to the people you lead. Have a leader’s heart, love people. Extend a leaders hand, that is help people. People respect leaders that put them as a focus. If you can carry the ball, you can't lead the team. Success in leadership requires you to take responsibility. People that embrace responsibility get the job done, leaders work hard. Leaders are willing to go the extra mile, responsible people never protest, they willingly do what it takes to complete the work needed by the organization. If you want to succeed be willing to put the organization ahead of your agenda. Leaders are driven by excellence. It is a great motivator. People, who desire excellence and work hard to achieve it, are always responsible. You can't lead people if you need people. You must have no doubts about yourself and you must be secure about your leadership. Insecure leaders are dangerous to themselves, organization and there followers. Your flaws or negative baggage only gets amplified when you’re trying to lead others. You cannot make others secure, if you’re not secure. Like a saying you cannot give what you don’t have. For you to be an effective leader you must help others feel good about themselves. When a leader discovers he is created with a particular personality type and has unique gifts, he is better able to appreciate the strength and success of others. The first person you lead is you. The first and best victory is to conquer self. No one achieves and sustains success without self-discipline. 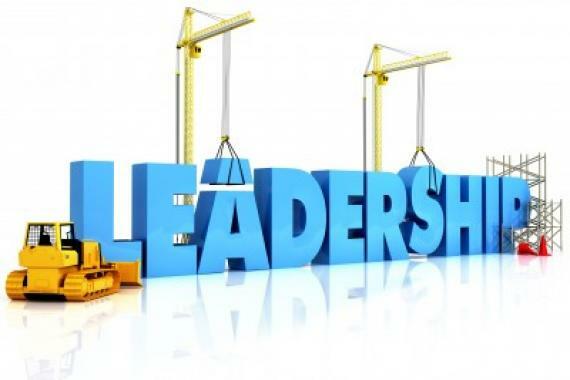 No matter how gifted a leader is he cannot reach his maximum potential without the application of self-discipline, it positions a leader to go to the highest level. For you to develop self-discipline you need to develop and follow your priorities. Self-discipline has to be your life style. Challenge your excuses in other to develop a life style of discipline. If you want to go to the next level as a leader you must challenge your excuses. Only in the moment of discipline you have the power to achieve your dreams. A true leader serves people, serves there best interest. True leaders are motivated by loving concern rather than personal glory; they are willing to pay the prize. You have got to love people more than your position. Servant hood is not about position, but about attitude. True leaders desire to save others rather than themselves. A true servant leader put others ahead of his agenda, it means intentionally being aware of peoples need and available to help them and accept there desire as important. Servant hood is motivated by love. To improve your servant hood perform small acts of kindness. To keep leading you must keep learning. Teachability helps a leader grow. Your growth determines who you are, who you are determines who you attract, and who you attract determines your success in your organization. Sometimes people stop growing when they achieve a particular goal. Effective leaders always keep growing, because the day they stop growing they start dyeing. Effective leaders know that what brought them to success doesn't keep them there, so they keep growing. A leader always learns from his mistakes and if he doesn't learn he will pay for them more than one's. Leadership Skill is essential if we must fulfill our highest potential. Keep growing as a leader; review this post periodically to measure how you’re developing. The only way to be the leader others will want to follow is to keep growing and stretching yourself.